Like A G6? No, More Like A DaVinci. You are here: NECAOnline.com » Blog » News And Announcements » Like A G6? No, More Like A DaVinci. 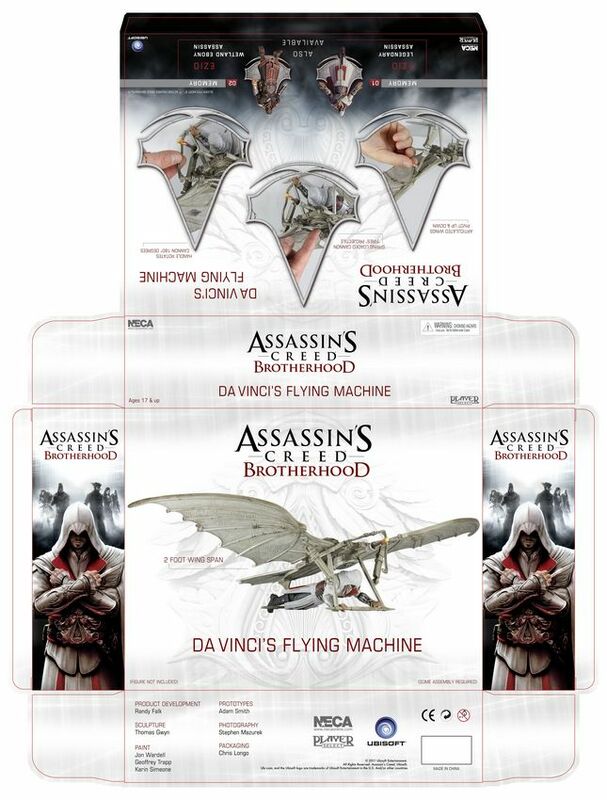 A highly detailed replica of Da Vinci’s Flying Machine, the awesome glider as seen in the Assassin’s Creed Brotherhood videogame. This glider’s wingspan extends over 2 feet and wings and tail are articulated. One of our 6″-7″ scale Assassins Creed action figures can be placed in the harness underneath and the cannon pivots and fires a spring loaded projectile. 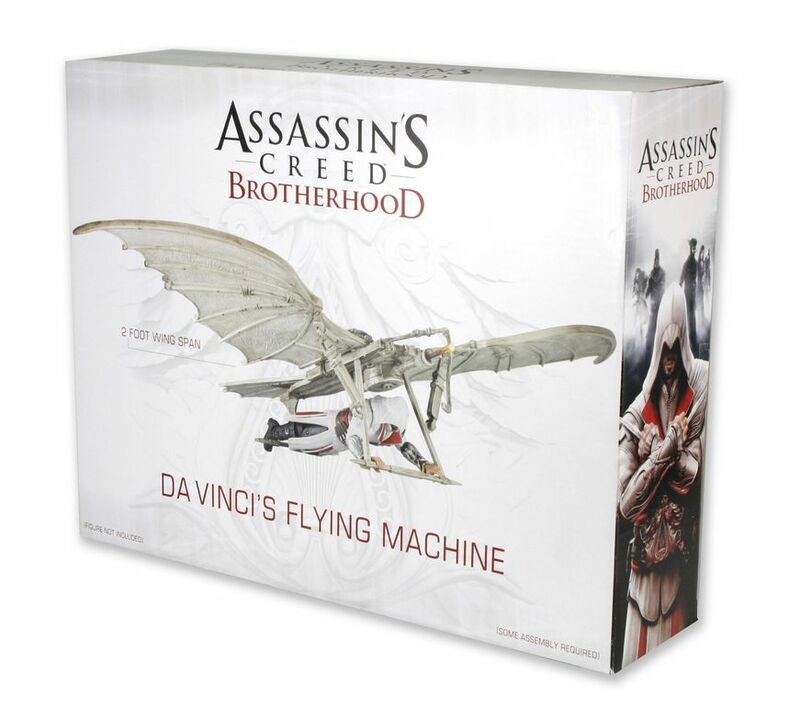 You may pre-order the Da Vinci Flying Machine over at GameStop. We’re scheduling the release for 11/15.